Many people dream of having full, voluminous lips like those of celebrities and models that grace magazine covers. But genetics, aging and lifestyle factors like smoking can all cause the lips to appear thin and diminutive. Lip implants are a solution for people who want to enhance narrow lips or otherwise rejuvenate lips that have become wrinkled with age. Patients have several options for lip augmentation, including injectible fillers, synthetic implants, and grafted organic implants. 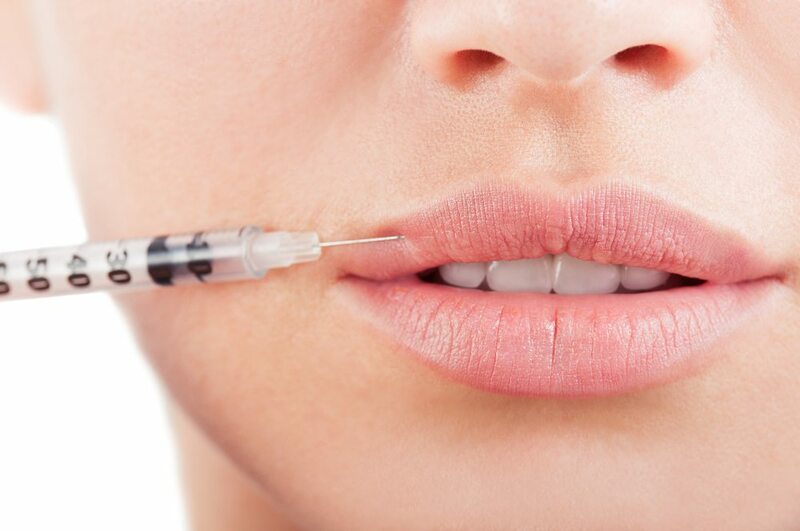 Fillers are injected into the lips and offer only temporary results. Implants, on the other hand, offer long-lasting results that can provide enhanced lip volume for several years, or even a lifetime. that lip augmentation is one of the most popular cosmetic procedures? The American Society of Plastic Surgeons reports that doctors performed more than 25,000 lip enhancement procedures in 2011 – a number that represents a nearly 50 percent increase since 2004. And because thin lips can be caused by both aging and genetics, lip augmentation has become a standard procedure among patients of all ages. Am I a candidate for lip implants? Your candidacy for lip implants depends on the type of augmentation you will undergo. Your doctor can help you decide whether lip enhancement is an option for you; and if so, whether certain lifestyle habits like smoking could affect the outcome of your procedure. What should I expect during a lip implant procedure? Your experience will depend on the type of augmentation you undergo. Injectible fillers, which offer temporary enhancement, are usually performed under local anesthetic during an office visit that is likely to last only a few minutes. Lip grafts or synthetic implants require more time and are often performed with light sedation. However, all lip enhancement procedures are performed on an outpatient basis, allowing patients to return home the same day. Will I need to follow any special instruction after getting lip implants? Yes. If you opted for permanent lip implants, you’ll be instructed to sleep on your back and keep your head elevated in the days and weeks following the procedure. You’ll also need to take any medications as prescribed and use cold compresses to minimize swelling. If you have stitches, you’ll need to avoid touching them with your tongue, as this can increase your risk of an infection.